The section on Customer Service gives you – our Customer – a summary of how your requests are handled generally. 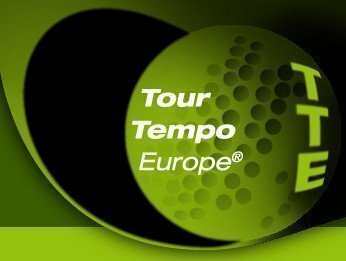 Details have been given in various parts of the Web shop of Tour Tempo Europe® or alternatively you can contact us for further help. Shipping and delivery of orders is provided by regular courier from DHL, UPS or PostNL. Two delivery attempts at the Customer′s specified delivery address will be made. Express deliveries can be arranged at special request. A surcharge for express delivery will be applicable. You are kindly directed to our Privacy Statement that can be found at the bottom banner of every webpage. The statement explains how we at Tour Tempo Europe® handle your information. Should you not wish to receive information or exercise your privacy rights then you can let us know as detailed in the Privacy Statement. On information about the Internet Payment System that is used, we refer you to MultisafePay (www.multisafepay.com) for details. Certified and state-of-the-art internet payment systems are used only. It is recommended however to always be aware and check that you are operating from a secure platform when making payments. You can return goods to our office address when incorrect goods have been sent to you. Please send a copy of the original order with the package. We will then replace the goods and costs of shipping will be for us. When equipment is damaged or otherwise not functioning please contact us and we will let you know what to do with the goods. Equipment must in general be sent back within its original packing and cost of transport is for consumer. We will replace the goods when after review the failure is considered guarantee and reimburse reasonable transportation costs to you. You have a seven day time period during which you can return unopened and unused goods and equipment to us. Costs of shipping are for customer and the possibility to return during the consideration period does not apply to CD – and DVD – material with the original sealed packing material opened and never applies to book or magazines. For the details on returns and replacements see our Terms and Conditions of Sale under «Consideration Term», «Guarantee» and under «Returns». It is important that you order your equipment and goods through our Web Shop. Start with setting up your account («My Account» at the top right of the Home Page) when you are a new customer. This enables us to process and administrate your current and future orders as quickly as possible and provide the best service. Should you have any questions or you need prior advice, please contact us preferably by e-mail. Payment of your orders is taken care of through state-of-the-art outsourced Internet Payment Services by MultiSafePay (www.multisafepay.com). The Internet Payment Company works with certified payment systems in order to secure and protect your data (see accepted payment methods on the web shop pages). All of our prices are quoted in Euros and are fixed for the duration of your order and include VAT, the EU- import taxes and the cost of the internet payment services. Costs of shipping and transport are for account of the customer. Tour Tempo Europe® may grant you as a regular customer discount. We will issue a Discount Code applicable to your order. You can apply the coupon code prior to proceeding to check-out during shopping. The discount is then applied to your order. From the Home Page you can log in at the top right of the page (Log in). You see Your Dashboard with a complete overview of your current order status′, past orders, My Account information and Your Address Book, Your Wishlist and Tags, Newsletter subscription and Your Product reviews given. Once your order has been cleared and shipped notice will be given and you will be able to track your mail-order (Track & Trace). After Log-in you can see all your data by selecting My Account. On the right hand side all of your account details can be found. Go to Account Information when you want to change your password for instance. Please note that we work with a Privacy Statement for careful use of your data. You can find the Privacy Statement through the link at the bottom of each Webpage.